The East Village extends north from East Houston Street to East 14th Street, and east from Lafayette Street and Fourth Avenue to the East River. Known for cheap rents, it drew all kinds of so-called misfits: Beats and punks, artists and skaters. You could see the Ramones play for the price of a pizza slice, or hear Patti Smith read poetry in a church. But despite those common refrains, visitors continue to flock to the neighborhood—for what it is, not for what it once was. 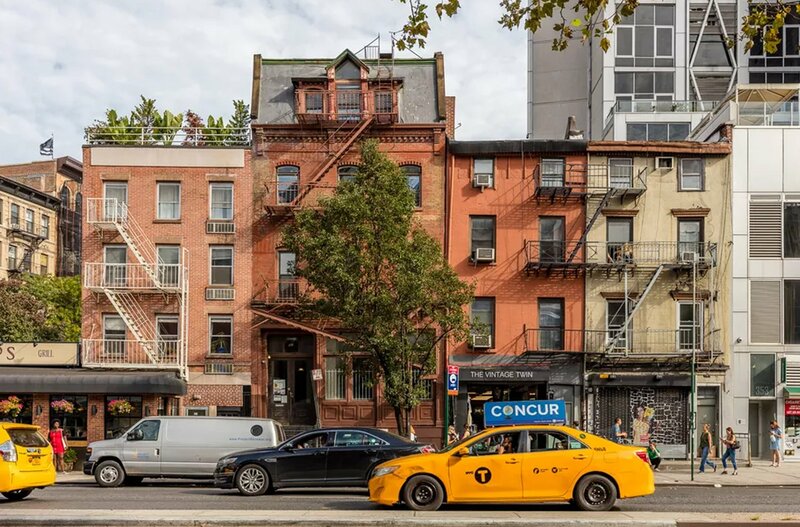 As stylish as it is, the East Village preserves a laid-back attitude so even outsiders feel welcome when in this classic New York City neighborhood. From early morning to late-late night, the East Village brims with activity for socialites and scaliwags alike. 1) Visit Tompkins Square Park at 500 E 9th St. This 16-acre park served as a military parade ground at the beginning of the 19th century. Today, it is an integral part of the East Village's daily life. 2) The area is predominantly known for its bars and nightlife. In that case, gather all your friends and visit PDT (Please Don’t Tell). Located on 113 Saint Marks Place, it is a hidden speakeasy bar. Patrons enter through a phone booth in Crif Dogs next-door and sip novel cocktails in a dark space! 3) For a bite of dessert, check out Spot Dessert Bar on 13 Saint Marks Pl. Come here for artesian Asian inspired dessert. For those with a sweet tooth this is a great find. 4) See, A Gathering of the Tribes (285 E 3rd St between Aves C and D, second floor; has showcased eclectic visual and performance art for more than 20 years. Peep the pieces in its current exhibit, "Paper View". The show features work by Korean sculptor Gahae Park, who carves tiny windows into layers of sparsely colored paper.